﻿﻿Does Suboxone help with cravings? Yes, Suboxone addresses drug cravings. Suboxone contains both buprenorphine and naloxone to decrease your desire for opiates and to block their effects should you take them. More on how Suboxone works as a complement to addiction treatment here. Yes. Suboxone is a medication approved for the treatment of opiate and opioid dependence: it addresses both cravings and narcotic use. This medicine contains the active ingredient, buprenorphine hydrochloride, which works to reduce the symptoms related to physical dependence on narcotics (both illegal and prescription pain killer drugs). What are cravings and how can really Suboxone help with them? Find out in the text that follows. Then, we invite your questions in the comments section at the end. A craving is a state developed by the mind that is experienced as an overwhelming desire for the use of a drug. Not everyone who uses drugs gets addicted to them. But it is difficult to stop using (even prescription drugs) after you have become addicted, because the cravings are so strong and the fear of withdrawal is so great. But there is hope! Appropriate treatment helps you get through withdrawal and helps you cope with cravings. How can Suboxone help with cravings? Suboxone is a medication that contains buprenorphine plus another medication called naloxone. The naloxone is added to prevent abuse — it reverses the effects of other narcotic medicines and can even triggers drug withdrawal in some cases. Buprenorphine is a partial agonist that exerts significant actions at the mu opioid receptor. Partial agonists like buprenorphine bind to receptors and activate them, deterring stronger drugs because you can’t feel their effects. In addition Suboxone works well because buprenorphine reaches a ceiling where higher doses do not result in increasing effect, lowering the risk of abuse. As a result, the person who takes buprenorphine feels normal, not high. Cravings are lessened, and the medication allows you to focus on other issues related to recovery. At the same time, the brain is tricked into thinking it’s receiving drugs, so withdrawal symptoms do not occur. This treatment gives you the chance to change addictive thinking into non-addictive, healthful patterns. If cravings continue to be a problem, report it immediately; your doctor will adjust your medication or help you find other ways to reduce them. Doctors can prescribe Suboxone so that you can take it at home. Also, daily check-in at a treatment center can be helpful to recovery. Therefore, for some people, a treatment center is the best place to receive medication for opioid addiction. IMPORTANT NOTE: Not all doctors have approval to prescribe this medication, and not all doctors provide counseling for addiction. In fact, MD’s need special training before prescribing buprenorphine. Check the SAMHSA Buprenorphine Physician Locator. Who CAN use Suboxone for cravings help? Before you are given the first dose of Suboxone for opioid addiction, your doctor will ask you questions about your addiction, health, and other problems. Prepare to submit a drug test, usually a check of urine or saliva. You also will be asked to schedule a physical exam and be tested for diseases that are common to people who have been abusing drugs (Ex. your liver will be checked to make sure the medication can be safely taken). If buprenorphine is safe and appropriate for you, your doctor can then recommend and prescribe it. What you SHOULDN’T do while taking Suboxone? While taking this medication, you should NOT take other medications without consulting your doctor first. While taking this medication, you should NOT use illegal drugs, drink alcohol, or take sedatives, tranquilizers, or other drugs that slow breathing. Taking any of these substances in large amounts along with buprenorphine can lead to overdose or death. Suboxone kept at home must be locked in a safe place to prevent accidental use by others, especially children. If you are a woman and are pregnant or breast-feeding, doctors may recommend the naloxone-free form of Suboxone instead of methadone. Ask your doctor for more information. Liver problems are rare but can occur while taking Suboxone. If you have been diagnosed with a liver condition, your doctor should conduct regular tests on your liver. 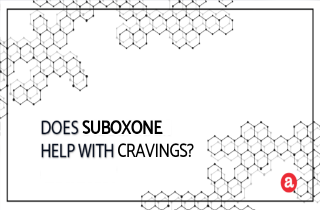 Please contact us through the comments section below if you have any questions about Suboxone help with cravings. We are happy to try to provide a personal and prompt response to all legitimate inquiries. My sons doctor put him on Soboxone for DXM and alcohol cravings. He has never use opioids or heroine, just DXM and alcohol. He has been in an inpatient facility for 1 1/2 yrs. He has only drank and used DXM once in the last 4 years, which was about 3 months ago, when he was out on a pass. Is suboxone an appropriate medication to stop DXM and alcohol cravings? My daughter has been off Suboxone for over 3 months but is still in outpatient treatment. Her doctor is prescribing Suboxone again for her to take to help with her “cravings”. Is this wise? I fear this will put her right back on the track to seek out heroin again. I have not seen any supported material stating that this is used strictly for this purpose except for immediate withdrawl symptoms and then weaning off with treatment. Hi Nancy. Suboxone may help her. However, she needs emotional and physiological support. My cousin was put on Suboxone back in 2007,10 years ago. She wishes the doctor would have taken her off opioids entirely back in 2007 for her initial inpatient treatment! But instead the doctor put her on Suboxone without even telling her what kind of treatment he was going to provide for her! Now the nightmare continues only instead of her being dependent on Vicodin, now it’s Suboxone 10 years later!! It’s very expensive and she is on dissibility with a limited fixed income. Why do doctors do this to their patients? Wrong!! They got her hooked on a different opioid drug and is very expensive!! For 90 films per month, it cost retail price $800+ dollars!!! She only gets $1440 per month to live on! Hi Lisa. Cravings are psychological withdrawal symptoms that may persist very long after the human body is clean of the drug. I suggest that your loved one consider counseling therapy, and support groups that may give him/her the strength to overcome this hard period. I cannot walk without taking dilauted, tramadol and diazepam. I will need a power chair if I stop! I have been taking these meds for 20 years because of carbon monoxide poisoning. the co permanently damaged muscle tissue, joints and nerve problems. here is what will happen if I start on soboxone. I wont be able to walk. I’ll have severe back, neck and shoulder pain and I wont be able to get help with getting a power chair for at least a year. what should I do? Id never recommend suboxone more than 3months.was on 10 years…nightmare to get off…worse than pain pill detox….lost my job…laid on couch half dead ..barely moved for 2weeks…was weed down to 4mg,used to 24mg thr years.Plain nightmare and side effects horriiible. Hi Linda. Typical drug tests (those detecting heroin, codeine, morphine…) are not used to detect suboxone. However, there is a specific buprenorphine urine drug test which is not usually included on standard drug screen panels. But, if this test is done, the average detection time is about 72 hours. In urine drug tests, the detection window is 2-4 days, but may be 7-10 days for chronic users, even at typical doses. Hello Sowmya. He doesn’t have to seek help from a clinic, and can join group therapy or support groups to work along with other people who are in the same shoes and going through the same cravings, triggers, experiences. As he heals and gets stronger psychologically, he will also gain the strengths and motivation to give medications and marijuana up. First, “it reverses the effects of other narcotic medicines.” What does that even mean? This is essentially nonsense, like saying you can unburn gasoline by driving in reverse. Perhaps the author meant that its higher affinity to the u-receptors will unseat any drug already attached there, which is the mechanism that causes precipitated withdrawal, which is also mentioned. That’s in no way a ‘reversal,’ and in any case the bupe is responsible for that effect, not the naloxone, because bupe has a higher affinity. Naloxone can be considered an inactive ingredient – while not strictly true, it makes no difference to think that way. So when you say that naloxone is added to deter abuse, you’re 100% correct. It deters abuse in the same way that an imaginary ingredient would, by scaring the ignorant from trying in the first place! Finally, and perhaps most importantly, it’s downright criminal to downplay precipitated withdrawal as this article does. Precipitated withdrawal is a terrifying, absolute hell to go through. Imagine adding up the pain and suffering of two weeks of opiate withdrawal, then condensing it into a single hour. It is a true ineffable experience; no one should even consider taking suboxone without understanding how to avoid it. Suboxone can be a wonder drug, an opiate addict’s panacea, even. But any potential benefit the drug offers can be wiped away through precipating withdrawal, leaving the addict in worse shape than they were in before. Can you have withdrawals from Suboxone if you only take it for a short period of time? I started out taking 4mg per day for 4 days. I’m now on day 5 and taking 3mg per day. I plan to take 3mg for about 4 days and reduce again and continue reducing until I’m at 0mg. I don’t want to stay on them long term and I’m taking much less than the doctor prescribed. If I take it for about 2mths will I be addicted and have withdrawal after stopping? Hi lost girl. Have you been taking the Suboxone for 4 days or for 2 months? And, are you on day 4 of tapering? After 2 months you will experience withdrawal symptoms, while after 4 no. Withdrawal symptoms will be greatly milder if you slowly reduce doses – as you are doing.